When you broadcast the most-watched program of the year, mistakes and glitches are elevated and are noticeable to the American viewing public. In a pregame interview with Awful Announcing, CBS Sports Chairman Sean McManus said he was hoping for a clean broadcast with a game that went to overtime. Unfortunately for the Tiffany Network, the game delivered neither. It wasn’t a clean broadcast and through no fault of CBS, the game was choppy and difficult to enjoy, but was more due to the style of play. 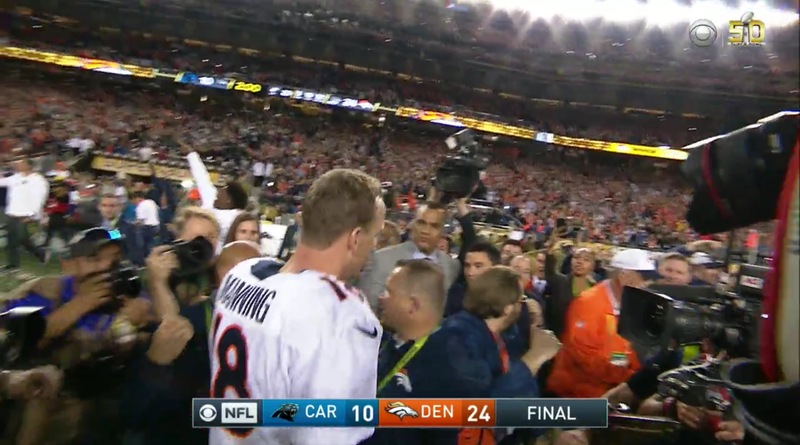 What CBS could control, replays, angles, commercials breaks were inconsistent throughout the telecast. We heard once from rules analyst Mike Carey early in the game, but never again. Was he placed in the Witness Protection Program? CBS has utilized kicking analyst Jay Feely when Carolina Panthers kicker Graham Gano missed a field goal, but not again when he made another kick. Was he in the same protection program as Carey? Another missing element was replays. It seemed when CBS had opportunities to show viewers another angle of a play or at least show why a penalty flag was picked up, they were missed to go onto the next play? Was that a deliberate decision or did the CBS producers hope to show the replays later, but never had the opportunity? Jim Nantz and Phil Simms had a better game than Super Bowl XLVII. It was then where Simms had a very bad game and began a downward spiral that has seemingly not stopped. While Simms didn’t do anything to reverse his reputation with fans on Sunday, his analysis has improved during this postseason and he didn’t go over the top in stating and re-stating the obvious. 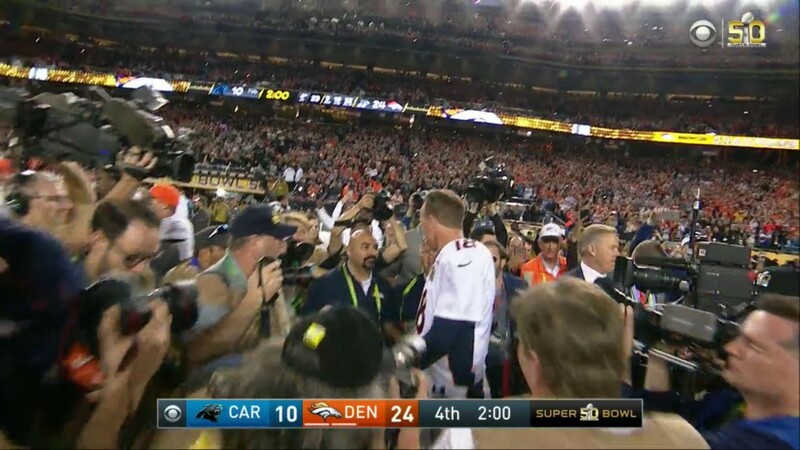 He and Nantz were in sync for most of telecast and if the game had been better, we might have even praised them for upholding the drama, but the Panthers and Broncos did not hold up their ends of the bargain. 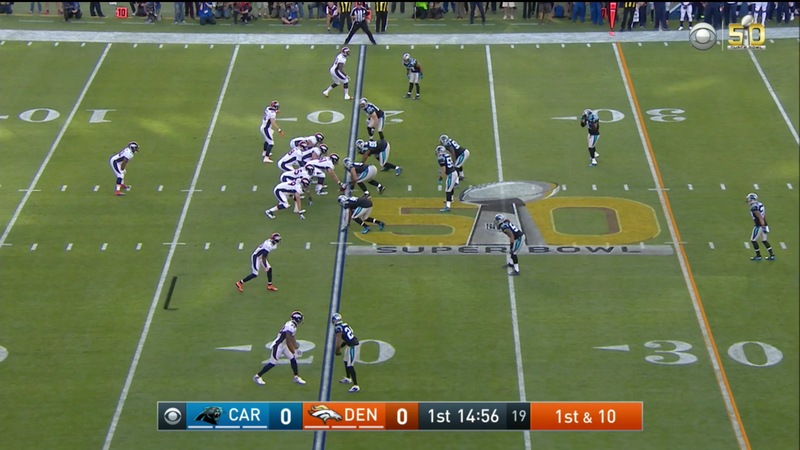 CBS did not force feed its 360° EyeVision technology on the public, but when it had the opportunity to use it, it showed some clear and concise angles of plays and also created a blue “wall” to show that Panthers running back Jonathan Stewart broke the plane. It was an innovation that may be used by other networks in the future. That was truly eye-opening. We also had a few chances to look at Pylon Cam, but there was not an opportunity for it to be used for a challenge or controversial play. 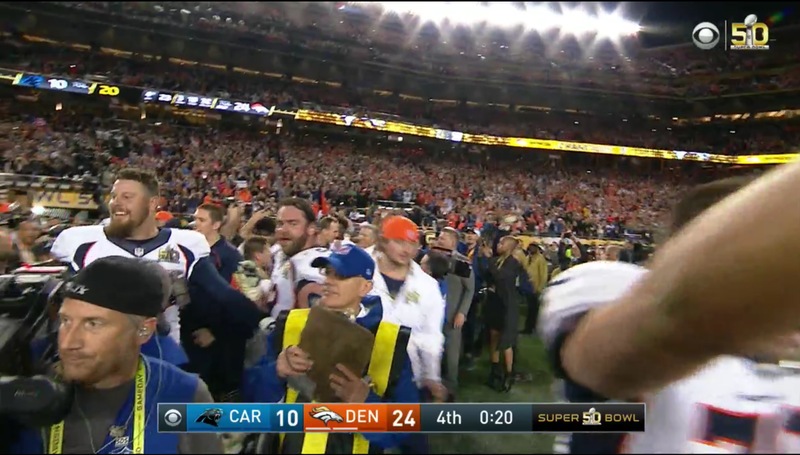 Again, that was due to the Panthers and Broncos and not CBS. And one replay that CBS did use to good effect was on Cam Newton’s fumble which showed him backing away from recovering the ball. Whether Newton was running away like the French in World War II or seeing that a fellow Panthers player was diving for the ball is totally up to your interpretation, but it was a rare instance that night of the network providing the American people with an effective second and third look of a play. Overall, CBS gets a passing grade for its work, but it could have done better. With the tools and gadgets in place, we expected better. It was above average, but just barely. CBS has three years to improve upon Super Bowl 50 and perhaps we’ll have a different broadcast team (Nantz and Peyton Manning? Nantz and Dan Fouts? Nantz, Fouts and Manning?) in place when the rotation returns to CBS for Super Bowl LIII. It’s now Fox’s turn to take its crack at Super Bowl LI in Houston on February 5. 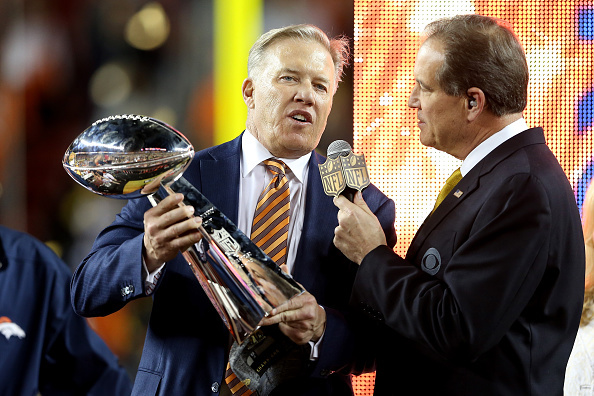 The Awful Announcing grade for CBS’ production of Super Bowl 50 is a low B minus.